As 2017 draws to a close we would like to thank all who have supported and worked with AMF this year as without donors, distribution partners, volunteers and pro bono supporters we would not be able to do what we do in contributing to the fight against malaria. Thank you! 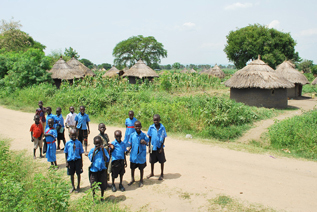 Distributions and follow-up surveys are currently being undertaken in a number of countries. 1.2 million nets are being distributed in Papua New Guinea , 2.4 million nets in Togo and 12.7 million in Uganda. Approximately 3 million nets will also be distributed in Zambia shortly, after the registration phase is complete - allowing us to determine the exact number of nets needed. In addition many Post-Distribution Check-Ups have been performed in Ghana, DRC and Malawi this year with further check-ups being carried out in 2018 in additional countries. The results of these surveys will be added to the website in the New Year. There remains a huge need for nets. The gap for the next few years runs into tens of millions of nets. We are involved in discussions in a number of countries requiring individually between 3 million and 33 million nets for the period 2018 to 2019. 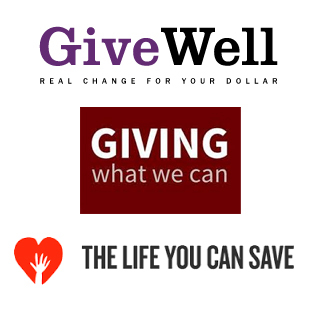 AMF's gap for more funding remains large and we agree with GiveWell's assessment that the total funding gap for LLINs for 2018-2020 appears to be hundreds of millions of dollars. 280,000th donation and over US$142 million raised so far! 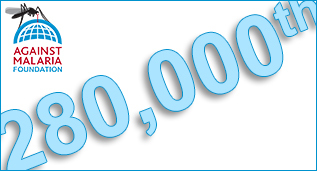 We are thrilled to have recently received our 280,000th donation, with most donations ranging from a few dollars (and £, €, CAN$, NZ$, AUS$, bitcoin and more) to many thousands. We are so grateful to you for your support. Thank you! 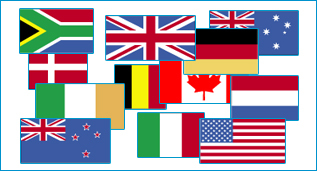 We now have tax-deductible status in a dozen countries, most recently in Ireland. We continue to assess the need for tax-deductibility status in other countries, some of which are already in the application stage and we hope to complete in the very near future. We are very happy to welcome two new members of the AMF team this year. 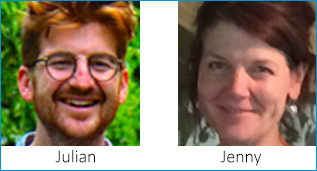 Julian is Operations Manager and Jenny is responsible for donation administration. They bring the total up to seven, including; Rob (CEO), Andrew (Head of Technology), Shaun (Programme Director), David (Uganda Representative) and Peter (Executive Chairman). 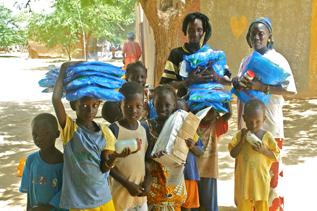 "We recommend that donors give 70% of their donation to the Against Malaria Foundation... "
Giving What We Can has confirmed AMF is again a top-ranked charity for the seventh year in a row. The Life You Can Save has AMF as a top-ranked charity for the seventh year in a row. May we wish you a very happy and healthy 2018!